Sometimes I prefer none pink. ...spotted in a local liquor store in Israel before Purim. This is NOT an endorsement for the product. 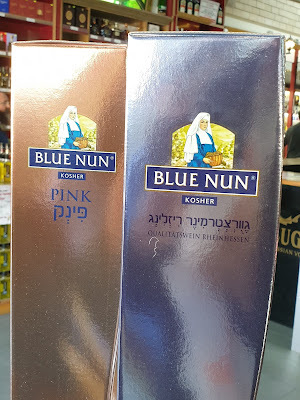 IMPORTANT KOSHER NOTE - MOST BLUE NUN wines are NOT KOSHER, even in Israel. It must be labeled kosher. 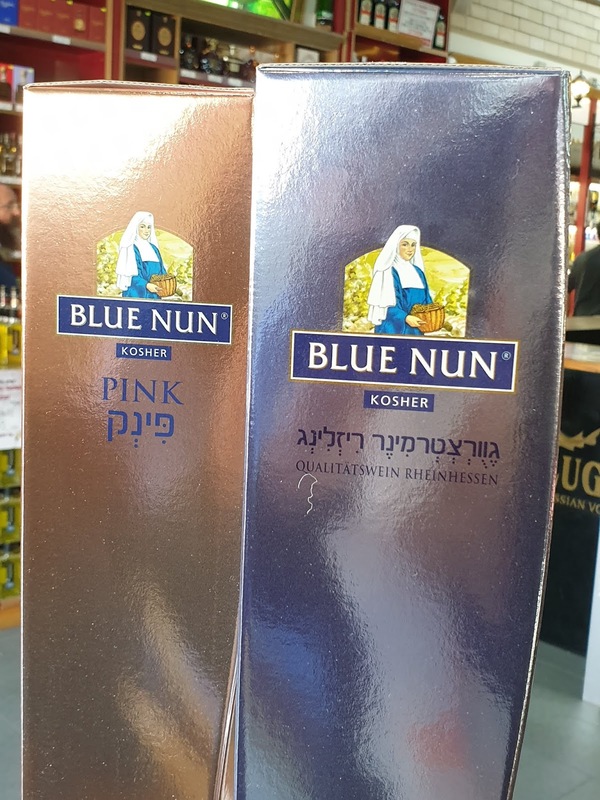 Therefore, while weird seeing a wine titled Blue Nun labeled kosher, I do not trust that it meets the stringent kosher standards that my community keeps. And if one is looking for an excellent Gewurtztraminer at the highest kosher standards, check this link for alternatives.